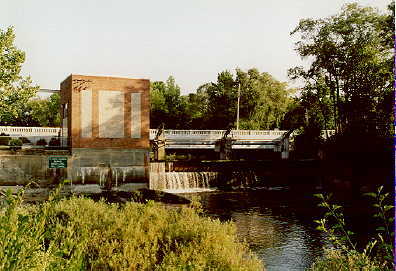 The Thornapple River has five operating hydropower dams. There are also numerous smaller impoundments, many of these made around the turn of the century to power gristmills and sawmills. The dams are much loved by residents, for the historical interest and because the dams create recreational boating opportunities for those living on the artificial lakes. 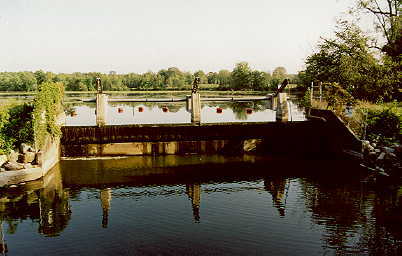 The dams are barriers to fish, and create warm-water sediment traps in the river. 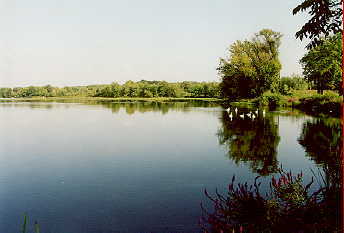 The lower Thornapple is a stony-bottomed river with many shallow riffles that would be passable only to canoes and kayaks if the dam impoundments were removed. Below are images of the Thornapple River dams, starting from the mouth of the Grand River. 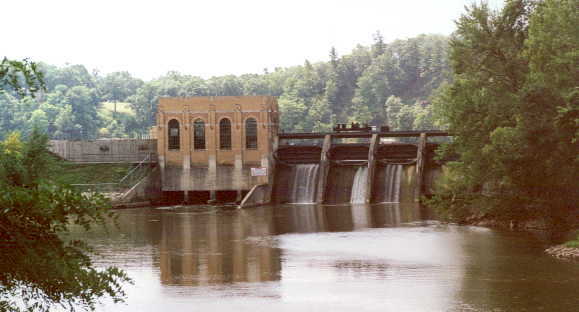 The Ada dam, Kent County. just downstream from the Ada Dam. The Cascade dam, Kent County. 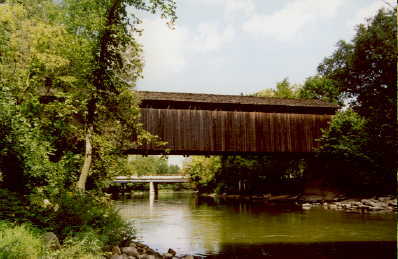 The LaBarge dam in Caledonia, Kent County. 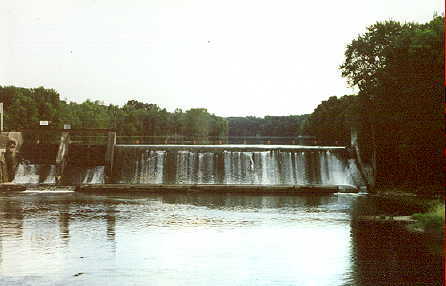 The Middleville dam, Barry County. The Irving dam, near Hastings, Barry County. 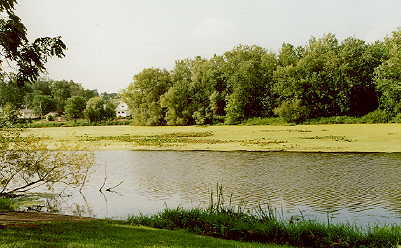 Impoundment of Irving dam, near Hastings, Barry County. 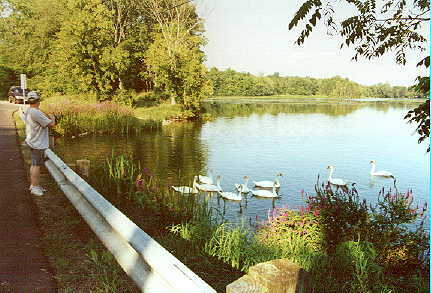 A favorite fishing hole, complete with swans and purple loosestrife. The mill-pond impoundment near downtown Nashville.